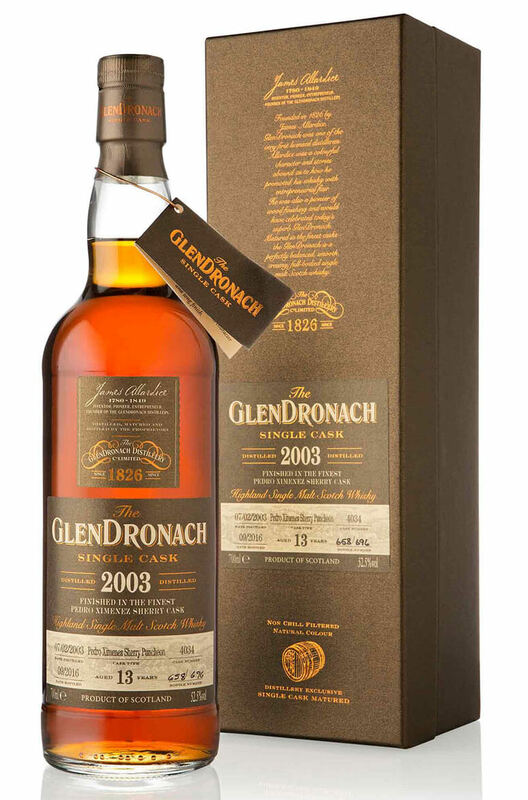 A superb 13 year old Glendronach that was aged in a single Pedro Ximenez sherry puncheon. Part of batch 14 of the distillery's special single cask releases. Aromas (with water) Crisp oak spice surrounds rich, stewed orchard fruits, with a combination of dark molasses and clean citrus peel. Flavour Mellow hints of vanilla pod flow through rich prune syrup, candied peel and toasted spices, adding warmth to the sweet sherried character and long finish.